Asian lady beetles look like ladybugs, but are not. They have four distinct life stages: egg, larva, pupa and then adult. At this final stage, they are motivated to seek shelter...in your home. Asian lady beetles enter homes and dwellings in the fall looking for a warm place to spend the winter. 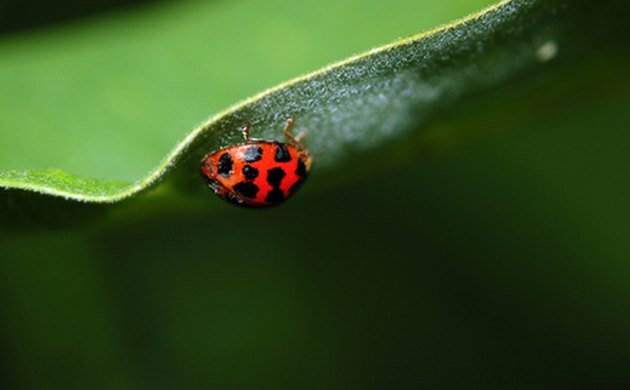 While they are helpful in controlling some harmful plant pests, Asian lady beetles can become a nuisance in large numbers. When stressed, they secrete a bright yellow substance that damages a homeowner's property by staining walls and fabric. Asian lady beetles resemble lady bugs. Caulk exterior cracks and crevices using a polyurethane caulk. Load the caulking gun by pulling back on the plunger and, rear end first, dropping the new tube of caulk into the barrel. Push the plunger until it contacts the rear of the cartridge. Trim the nozzle of the caulk tube. Insert a nail to break the nozzle opening. Release the caulk, using both hands, by squeezing the trigger and dragging the tip of the nozzle along a seam of the window, for example. Twist the nozzle and lift it away at the finishing point. 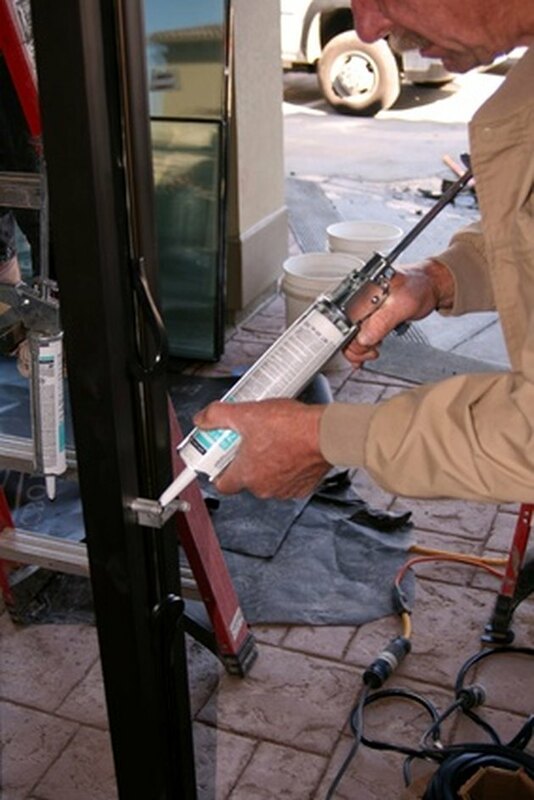 Install tight-fitting door sweeps or thresholds on all exterior entry doors. Leave the door mounted on its hinges and measure the door's width with a tape measure. Cut a sweep to this length using a pair of thin shears. Screw the sweep along the base of the door where it presses down against the threshold when the door is closed, but clears the floor when you swing the door open. Adjust for easy movement. Lay powder traps or flea trap monitors around your home. Lady beetles are attracted to light and can be easily caught on a trap. Simply remove the trap when filled. Asian lady beetles are lured in by the trap's color, the heat from the bulb and the sweet odor on the sticky glue disc. Check screens for holes, gaps and tears. Inspect bathroom and kitchen ventilation fans and attic vents and install insect screening using a 20-mesh. 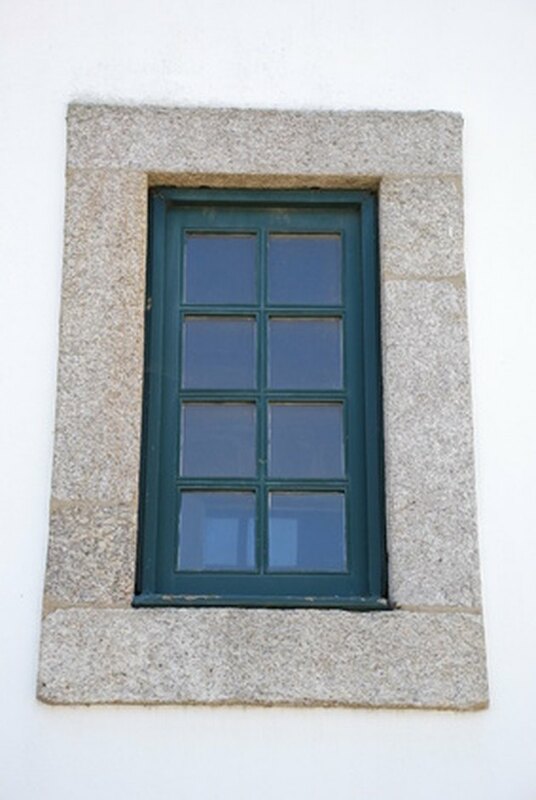 Have someone install screens on all windows and doors, if needed. 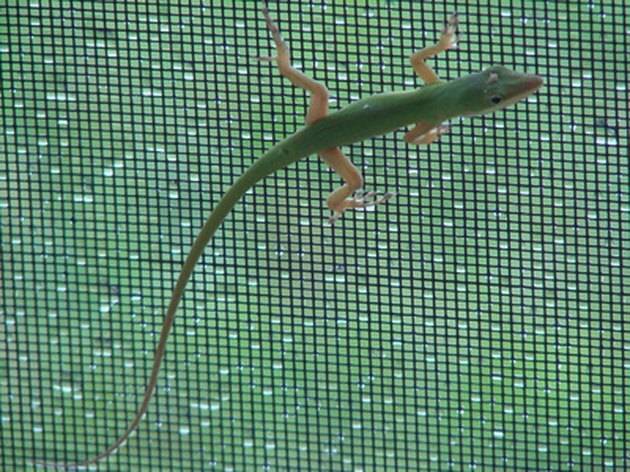 Fix damaged windows or door screens using metal screen fabric. Cut a patch of metal screening that is two inches longer and wider than the tear. Unravel the edges of the patch and bend the end wires at a right angle. Center the patch over the hole and poke the wire ends through to the main screen. Then bend the ends over to hold the patch. Weave the ends into the fabric to seal them.